Canberra developer Village Building Company has spent $30 million on the site of the former Australian Federal Police Training College. 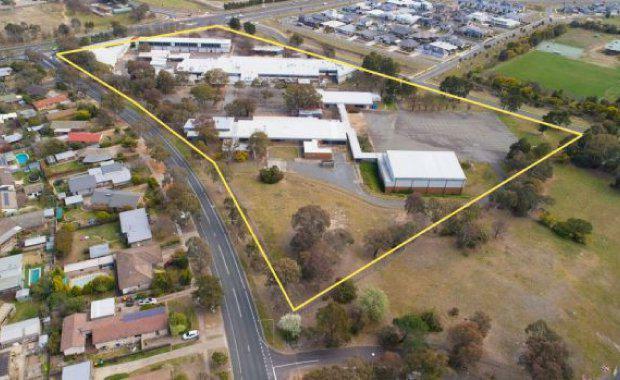 The property group acquired the six-hectare site after a competitive tender process and plan to build a new townhouse community in Canberra's Weston Creek. Village Building Co. will look to develop townhouses of varying configurations that will appeal to a broadening Canberra market, giving Canberrans the opportunity to live in a new townhouse located in an established suburb. "It’s a terrific location within walking distance to the Weston Group Centre and accessible to the major employment hubs of Woden Town Centre and Civic and is well-connected to the rest of Canberra via Tuggeranong Parkway, Hindmarsh Drive and Cotter Road," Village Building Co. chief executive Travis Doherty said. “It will also provide purchasers with the opportunity to combine a relaxed lifestyle with the convenience of nearby schools, employment, retail, restaurants and parklands. The site was secured in a competitive expression of interest process conducted by Savills Real Estate Consultancy in Canberra. Savills ACT director Andrew Stewart said the property generated strong interest from both local and interstate investors looking to capitalise on Canberra’s continued low vacancy rates, stable rents and the amenity of a new development within an established suburb. Prior to Village Building Co.'s purchase of the site, demolition works were slated for the old AFP facilities under the site's previous owner, NEB Holdings and the ACT Planning and Land Authority. earlier this year they wanted use the AFP gymnasium on the site as a permanent space for the growing club. Upon acquiring the site, Doherty said a decision was yet to be made on how those areas would be used. Cox Architecture was been appointed to lead the design process. The design will incorporate a strong sense of green amenity for the community including the established verge trees, new deep-root planted community areas and gardens. A high proportion of the dwellings will be solar passive and all will be cross ventilated. The project will be launched in the first half of 2018.